Sensitive electronics need the best possible protection. The use of electrically conductive materials prevents electronic charging and discharging on the trays, providing optimum protection for electronic components. We manufacture customer-specific ESD packaging (workpiece carriers) for all applications. An ESD tray (workpiece carrier) is usually very easy to stack and ensures safe transport of loose goods. ESD trays facilitate the countability of an inventory, high accuracies are possible even with thicker walls of the deep-drawn parts. 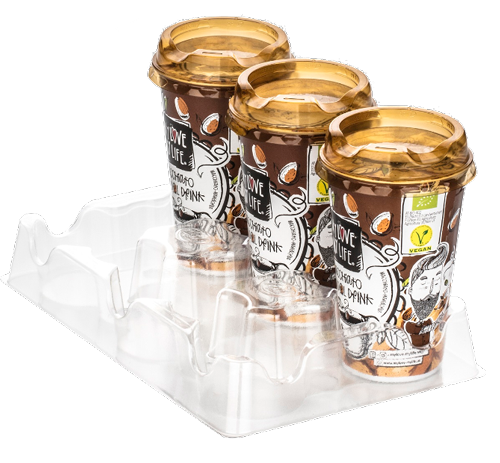 Trays (Displays) are also ideal for highlighting and presenting new products. Do you need the optimal packaging solution for your electronic goods? In addition to plastic trays (workpiece carriers), our portfolio also includes other types such as transparent packaging, which we manufacture according to your individual requirements. These include sealing blisters and blister hoods, sliding blisters and Hf blisters. We help you to solve your packaging problem.